To most of us, a clothes dryer is a pretty straightforward proposition – it’s a metal box that takes wet clothes and makes them nice and dry, so we can wear them. Unlike other whitegoods such as refrigerators and washing machines, clothes dryers aren’t afforded a whole lot of consideration in terms of variety or differences between models. The attitude seems to be that if a dryer can dry clothes faster than the sun can, then it’s good enough. 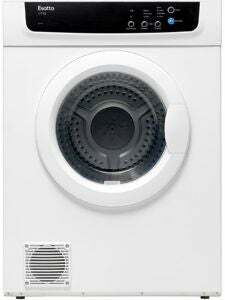 First, when a dryer states its capacity in kg, that refers to the weight of the clothes once dry, not while they’re sopping wet and straight out of the washing machine. Second, there’s a reasonably useful rule of thumb that states the capacity of your dryer should be double that of your washing machine. While you don’t need to aim for exactly double, just remember that your dryer needs to be quite a bit larger than your washing machine. A gas dryer will be slightly more expensive than its electric counterpart, to the tune of $100 or so. However, that same gas dryer will pay for itself several times over by being more energy efficient and cheaper to operate. While we’re talking about energy efficiency, it’s important to note that efficiency is one area where you won’t find variety among different dryers. Clothes dryers are rather inefficient beasts, to the point where unless you’re willing to spend the best part of $2,000, you won’t find a dryer with more than two and a half stars for energy efficiency. Gas dryers use gas to heat the tumbler and in turn, uses less electricity to fuel the appliance compared to standard dryers. In terms of wet weight capacity, expect 4kg to 9kg. 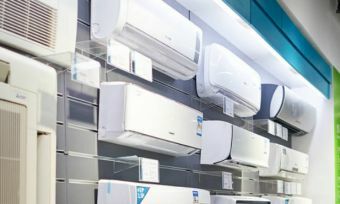 According to Appliances Online, the average price of a gas dryer in Australia is well over $2,000, which is a sizeable investment. The full range typically starts at around $1,500 and can go up to $3,600. Vented dryers heat up air and pass it into the drum. Once the hot air has become too moist to dry any further, it’s vented out of the drum and replaced with new, dry air. Most vented dryers range from 3kg to 9kg of capacity. Prices start from as little as $450 and max out at around $3,600. 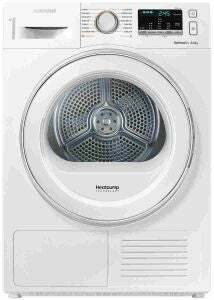 Condenser clothes dryers recycle hot air by extracting the water vapour from it and sending it back through the clothes in the dryer, rather than simply expelling the moist air as a vented dryer would do. While this method of dealing with moist air means no humidity in your laundry room, it doesn’t do anything for the heat itself, meaning your laundry will be just as warm as if you were using a vented dryer. 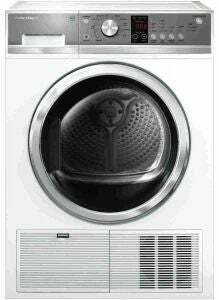 A condenser clothes dryer can be had from around $650 for the basic kind and up to $4,000 for the more advanced models. Heat pump dryers are a type of condenser dryers that recycle heat in the process of extracting moisture. It’s an old form of dryer that appears to be making a comeback due to a desire for more energy-efficient appliances. Expect prices from around $950, going all the way up to the $5,000 mark. Obviously, some of the more expensive dryers will have a few extra features and some of the cheaper dryers might come up short, but as we said before, the hard and fast rule is that you get what you pay for. 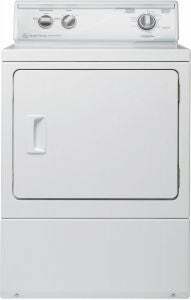 Also if you live in a smaller space, try to find a dryer that’s either stackable or wall-mountable to save on space.